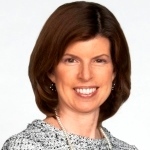 Sharon brings extensive communications expertise to the GlobalHouse executive team. She has worked with Fortune 500 companies including as Vice President of Pepsico, the $66 billion global food and beverage company with 274,000 employees. She has worked directly with CEOs and executive leadership teams and has been responsible for global communications including social media, marketing communications and project management. Sharon has a passion for making a difference.